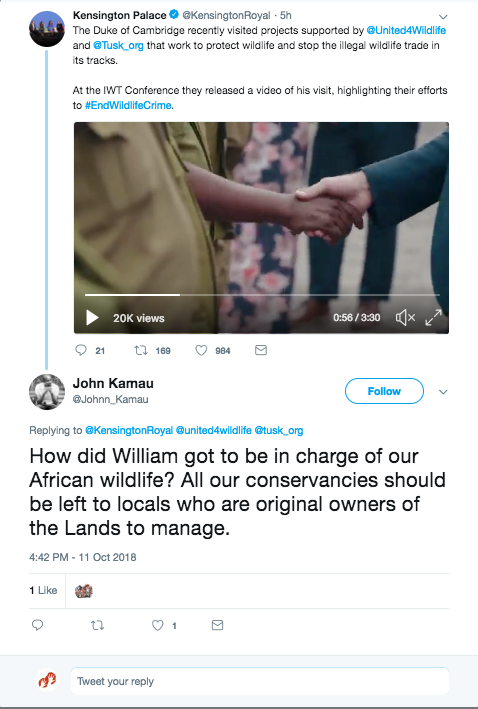 A video about Prince William’s recent conservation trip to Africa has been criticised for only including non-Africans’ perspectives on conservation and promoting a “white saviour” stereotype. The video was released on Twitter on October 11, 2018 by Kensington Palace. This is a diagram of the new British Colonial paradigm. The kingdom of “conservation”. This is the only arena where the heir to the Throne can go around touring the colonies, and telling his subjects how they should be taking care of their own resources. 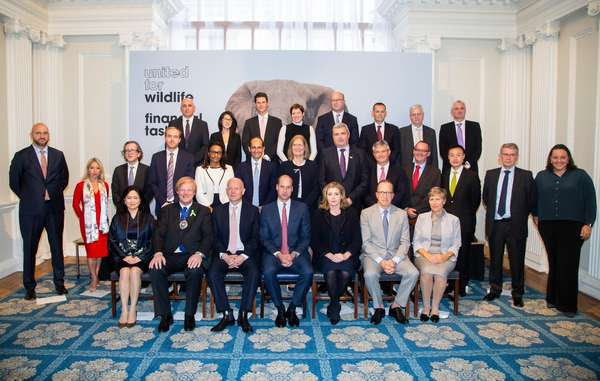 HRH Prince William should not pontificate to us about wildlife trade while the UK is the world’s number one trader in ivory. Kenya banned ivory trade a full forty years before the UK. The Duke is most welcome to come visit as a tourist, but he should kindly let us conserve what is ours in the way that suits us best. Only one black person is shown speaking to camera in the film. 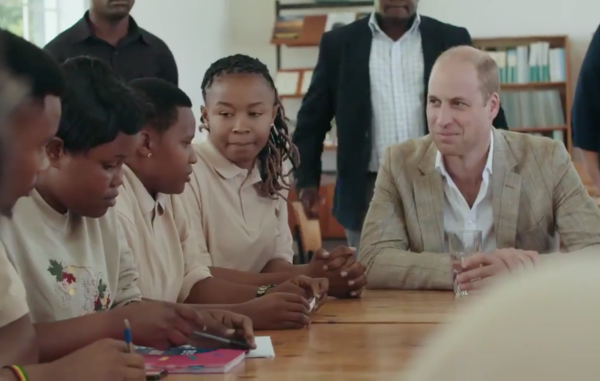 While all the other contributors share their expertise on conservation, her contribution in the video relates only to the Prince’s leadership abilities. A response to the video posted by Kensington Palace, click here for original thread. Survival International has been highlighting the covert racism endemic in big conservation in an intensive social media campaign over several weeks in the run up to the Illegal Wildlife Trade Conference, taking place 11th-12th October in London. Its video comparing conservation to colonialism was released this week. Survival International, founded in 1969 after an article by Norman Lewis in the UK's Sunday Times highlighted the massacres, land thefts and genocide taking place in Brazilian Amazonia, is the only international organization supporting tribal peoples worldwide. Contact Survival International at: info@survival-international.org. Read other articles by Survival International, or visit Survival International's website. This article was posted on Thursday, October 11th, 2018 at 3:25pm and is filed under Africa, Colonialism, Environment, Racism, United Kingdom.